Doxy Massager has taken it's classic wand to another level. With a new silicone head, die cast aluminum shell, and travel case for storage, this Doxy is truly one for those who want more! It is weightier than its predecessor, and so one must be comfortable wielding such an impressive tool. The vibrations are felt deeply, and with the 3000-9000 RPM range, it's in a class of its own. 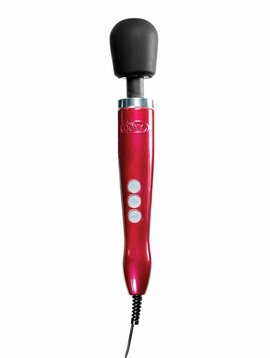 Features a 10 ft cord and infinite settings and pulsations.